Cuffed Ankle Boots for Genesis 2 Female for use in Daz Studio 4.6. 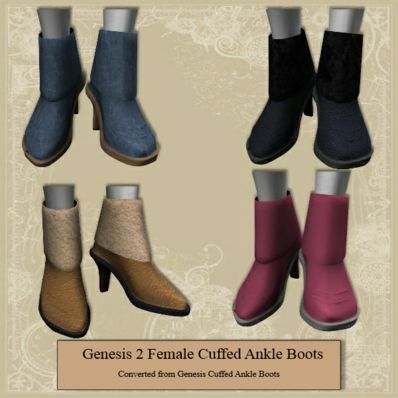 Have converted the Cuffed Ankle Boots for Genesis to Genesis 2 Female. Thanks so much for the shoes. There is a real shortage of good footwear!